We are sooooo pumped to play these shows! We'll be playing a number with HELLO DELAWARE, and a number of other shows with great bands like THE KENTS and MATT STEELE & THE CORVETTE SUNSET. If you can make it to one of those shows, it'd be so great to see you out :) Oh, we also got selected for NXNE to play with SURF DADS / MEGAN NASH / SAMURAI CHAMPS / GUNNER AND SMITH. How cool is that?? More information on tour dates over on our website on the TOUR section! 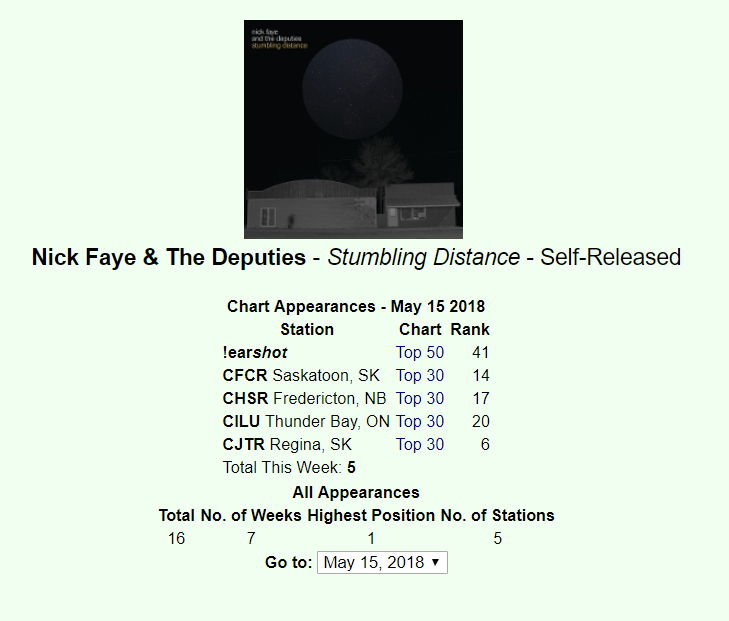 We are so grateful to all of the love from stations like CJTR (Regina), CHSR (Fredericton), CILU (Thunder Bay), CFCR (Saskatoon), and CJSR (Edmonton) for helping us chart in their cities.. How cool is it that our album has charted NATIONALLY for multiple weeks? Pretty neat! :) Thanks to all the campus stations for their support! If you like the album and you want to watch some "behind the scenes" footage with commentary by Nick, check out the video we released a little while ago! REVIEWS AND ARTICLES ABOUT THE ALBUM!! We've been so fortunate to have a number of reviews and articles on our album, check out some below! Album is out! Music video is out! Eastern Canadian Tour Dates!